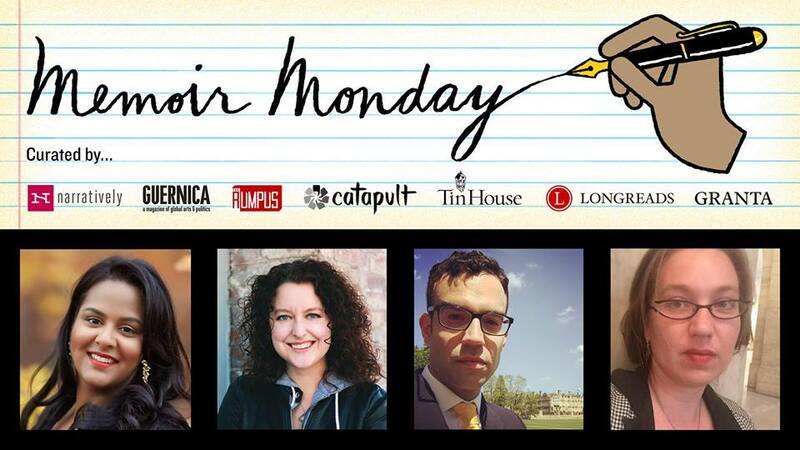 Memoir Monday is a collaboration between Narratively, Catapult, Tin House, The Rumpus, Granta, Guernica, and Longreads to bring the very best first-person writing together all in one place. This edition features Krystal Sital, author of SECRETS WE KEPT, and Briallen Hopper, author of HARD TO LOVE. KRYSTAL SITAL is the author of the critically acclaimed memoir SECRETS WE KEPT: THREE WOMEN OF TRINIDAD. A PEN award finalist, her work has appeared in Elle Magazine, The New York Times, Salon, Today’s Parent, Catapult, The Caribbean Writer, and elsewhere. She was born in the republic of Trinidad and Tobago, and teaches writing in the MFA program at Sierra Nevada College. JEANNA KADLEC is a Midwest expat living in New York City. Her work has appeared in Catapult, Literary Hub, Narratively, Nylon, Autostraddle, Electric Literature, The Rumpus, and elsewhere. She has a Masters in English Literature from Brandeis, where she is and always will be ABD. She is finishing a memoir about growing up in fundamentalist Christianity, marrying a man, coming out as a lesbian, and leaving the church. DANNY RAFINEJAD taught Persian language and literature at Harvard University before devoting himself to full-time writing and translating. He has numerous academic and non-academic publications; an autobiographical essay, titled TWO MINUTES TO MIDNIGHT, will appear in the forthcoming anthology Iran Musings from the University of Texas Press. He is currently at work on a memoir.